Air Quality & Mold Insp. Whats In The Air You Breathe? What does a Mold Report Include and What makes for a Great Mold Report? Click to see a Microshield Mold Report Outline and see a what Microshield Mold Report Contains. Should you have Your Home or Office Tested for Mold or Inspected for Mold? Click to read more. Microshield offers an extensive assortment of highly detailed Indoor Air Quality Mold Inspection & Testing services to isolate and identify Indoor Air Quality IAQ concerns before they become major health issues. Microshield�s consultants can quickly conduct an Indoor Air Quality or Mold Inspection with minimal disruption to the occupants, utilizing the most effective investigative, diagnostic, or sampling techniques available and applying a full range of analytical methods utilizing state of the art procedures, techniques, and equipment. After our Indoor Air Quality and Mold Inspection consultants have gathered the IAQ Indoor Air Quality data, they will then share the results with you, clearly outlining any potential IAQ Indoor Air Quality risk and make recommendations for further action and solution. Armed with a Microshield Environmental Services Indoor Air Quality and/or Mold Inspection analysis and recommendations, you can then make informed choices to improve your Indoor Air Quality IAQ. Call Microshield Today and Schedule Your Indoor Air Quality Mold Inspection. Why Sample? Sampling provides us with a method to establish scientifically whether the environment in question contains that are at a high level that would normally be present. We have a lot of investigative tools at our disposal such as a moisture meters capable of detecting high moisture in walls that might not be otherwise visible to the naked eye, boroscopes for inspection inside walls, ceilings, and ductwork, hand held laser particulate scanners that help determine areas of the indoor environment that have elevations of particles and the particulate micron size that can help identify the particulate by its known size. Once the indoor environment has been assessed, it's time to decide if sampling is necessary by establishing a Sampling Plan. A Sampling Plan is a description of where, when and how an investigator proposes to sample. A good IAQ Sampling Plan should take into account the strengths and weaknesses of each sampling method and use them to compliment each other as much as possible. The goal of IAQ sampling is to help determine whether the particulates present in the indoor environment are elevated enough to negatively affect or cause allergic symptoms with the individuals that occupy the indoor environment. If the individuals are experiencing allergic symptoms, you then have to ask whether or not the symptoms are associated with the elevated particulates in the indoor environment of a specific building or room. If symptoms abate a few hours after leaving a building, it is likely associated with the building and the circumstances call for further investigation, especially if the symptoms are severe or are experienced by many people. If symptoms abate a few hours after leaving a building, it is likely associated with the building and the situation calls for investigation, especially if symptoms are severe or are experienced by many people. If on the other hand, symptoms continue hours after leaving the home or office and/or in different locations such as another home or building, then it is more likely that the individuals are experiencing an illness not associated with the indoor environment in question and is possibly the common cold or the flu which have similar symptoms to mold allergies. The American Industrial Hygiene Association recommends mold sampling when the source of contamination is unclear, if a disease associated with a mold is suspected, if litigation is involved and for clearance purposes associated with a remediation in order to ascertain that mold readings are at natural background levels or at a Normal Fungal Ecology. Even when sampling is performed, it's not possible to correlate results with an individual�s symptoms because everyone reacts differently to different levels of molds and allergens. This is called a dose response relationship. 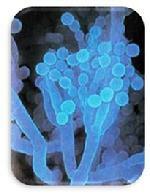 Culturable or Viable spores are those that are capable of growing into a colony, given the correct conditions. These are the only spores that show up on culture samples, where they are called colony-forming units (cfu). They are usually a minority of the total number of airborne spores. Non Culturable Non-Viable spores are spores that are not capable of growing. Many species of mold produce large numbers of non-viable spores because certain conditions (i.e., substrate nutrients, pH, relative humidity, presence of other molds or chemicals, etc) affected the growth process. Non-viable spores may not be visually distinguishable from viable samples, and they cause the same allergic effects as viable spores. Non-viable spores will not be counted in culture samples. To get a count of non-viable spores a spore trap of some type must be used so that a microscopic analysis can be completed. Bulk Samples are pieces of material that have mold growth on them, or are suspected of having mold growth visual inspection is enough to identify apparent fungal growth, however, a sample will have to be collected for analysis to determine the mold type. Once in the lab the bulk sample can be prepared for analysis in a number of different ways. For viable sample analysis a small area is precisely measured and the surface cut or scraped into a nutrient solution and �plated� onto a petri dish. After incubation and analysis the results will be reported as cfu/cm 2. Bulk Samples can also be prepared for analysis by non-viable methods. This can be done with a tape sample or a microvacuum sample. Tape and micro-vacuum samples are considered to be surface samples although they are often used as a laboratory preparation technique for bulk samples. 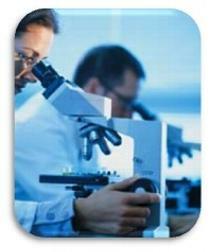 Surface Samples are samples taken directly from a surface suspected of having mold or microbial growth. Surface samples are primarily useful for determining what fungal agents are present on the surface. They do not give reliable indications of airborne spore concentration. However, surface samples can share if there has been an extensive deposition of fungal material through the air. Tape Samples can be collected to identify mold growth on a surface. A piece of tape is stuck to the surface, then removed. Any particles or spores on these surfaces should be stuck to the tape. The tape is then put onto a slide and analyzed under a microscope. Micro-Vacuum samples are taken from a surface using a slit sampling cassette contains a slide with a sticky substrate, where any particulates or bioaerosols are captured. The cassette is placed just above the surface and the pump is turned on for a short time. Once there is a visible trace on the cassette, it is put onto a slide and analyzed under a microscope. Swab Samples are a method of surface sampling used to identify both mold and bacterial growth. To take a swab sample, the surface to be tested is rubbed with a swab that is then rubbed onto an agar plate. 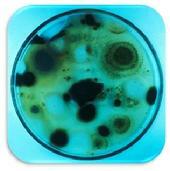 The mold and/or bacteria grow on the plate and are visually identified. Air Samples are taken to determine airborne spore levels. There are many ways to take air samples, including inertial impaction, multiple hole or sieve impactors, slit samplers, centrifugal sampler, liquid impingement, filtration, and gravitation or settling. Air samples show only what is in the air at the time the sample is collected. Some types of fungi, such as Stachybotrys, have �sticky� spores that do not become airborne easily. These fungi may not show up in air samples even if they are currently growing in the area. Air samples fall into two general categories (Viable & Non-Viable). The first type Viable uses a culture medium of some sort to collect the airborne spores. The spores are allowed to grow and the resulting colonies are counted and identified. 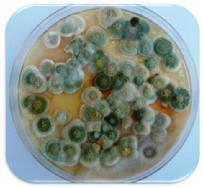 Each growth area seen on the plate is known as a colony forming unit (cfu). Since the amount of air drawn through the sampler is carefully documented and the areas of fungi growth on these ample precisely counted, a conversion factor can be used to calculate the number of cfus per cubic meter of air (cfu.m3). Viable Culture samples have advantages and disadvantages. An advantage is that counting and identifying the colonies that grow can be done in such away as to identify both the genus and the species of the organism. On the other hand, these samples do not include non-viable spores, even though such spores can still cause health problems. Culture samples take several days for the mold to grow, so there can be no rush turnaround time. The other general category of air samples are Non-Viable collected using an Air Sampling cassette. The air sampling cassette is a sampling device designed for the rapid collection and analysis of a wide range of airborne aerosols. These include fungal spores, pollen, insect parts, skin cell fragments, fibers, and inorganic particulates. Air enters the cassette, the particles become impacted on the sampling substrate, and the air leaves through the exit orifice. The airflow and patented cassette housing is designed in such a way that the particles are distributed and deposited equally on a special glass slide contained in the cassette housing called the ``trace." The slide is then analyzed under a microscope . Any spores observed are identified and counted, and then a conversion factor is used to calculate the number of spores per cubic meter of air. This method includes both viable and non-viable spores, so it can be a more accurate indication of airborne spore levels. The analysis can be performed immediately after the sample is taken, so rush turnaround time is possible. However, direct microscopy is usually limited to designation of mold at the genus level and generally cannot be used for bacteria. Water samples are taken to determine the presence of bacteria, such Legionella and E.coli. 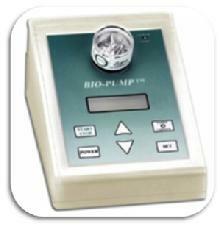 The samples also detect bacterial toxins, such as endotoxins. The analysis of samples in the laboratory provides a major portion of the data that is produced during a mold investigation and is used to guide the remediation contactors. This involves analyzing samples under the microscope, and counting and identifying any colonies that grow on an agar plate. 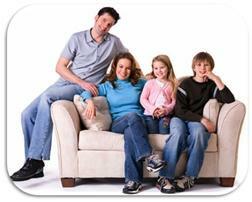 Microshield, Orlando and Central Florida�s Leading IAQ Indoor Air Quality, Mold Inspection and Mold Testing Company. Do It Yourself Mold Test Kits If you see or smell mold, you don't need a test kit to tell you it's there. Generally, it's not necessary to identify the species of mold growing in your home, according to the national Centers for Disease Control and Prevention. If mold covers an area less than 10 square feet, you may be able to eliminate the problem yourself. Larger areas require a pro. When we tested the kits below for our report, we found significant shortcomings in all of them, flaws that were serious enough to earn each a "Not Recommended" rating. 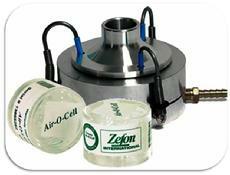 (w/ air sampler) Expensive, and took a long time, an average of 23 days, for results to be returned from lab. No expiration dates on the kit; old media could affect the accuracy and reliability of the results. One unused plate came back positive for mold growth, indicating contamination at some point;Not very reassuring for post-remediation use. (4 petri dishes) Using unsterilized utensils or swabs increases the likelihood of contamination. Very difficult to open; kits could spill on the floor while opening package and become contaminated and useless. No expiration dates on the kit; old media could affect the accuracy and reliability of the results. Label claimed kit can identify toxic mold, but the report that the lab sends can't tell you this. One unused plate came back positive for mold growth, indicating contamination at some point; Not very reassuring for post-remediation use. 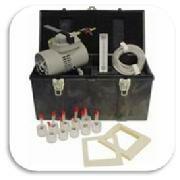 Mold Chek Sampling Kit $39 to $49 Kit fits on most but not all vacuums. If you vacuum more than one area or room per sample kit, then you won't know which area has a mold problem. Label claimed that kit can tell you whether toxic mold is "hiding in your house." But brochure inside the kit has a disclaimer saying the lab report can't tell you this. Not very reassuring for post-remediation use.